Close-up photograph of the installation ‘Chemical Garden’. 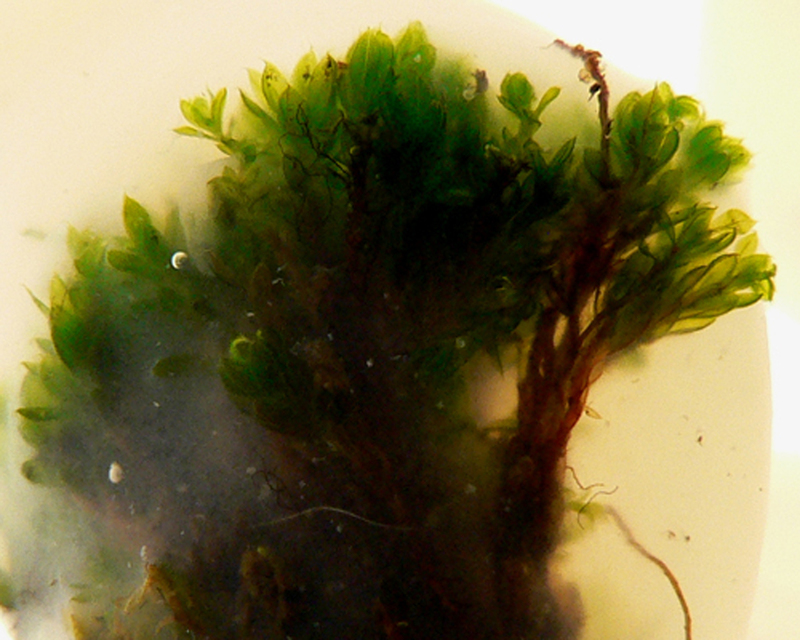 A sample of moss is seen encased by curing skins within a highly concentrated body of salt water. The ‘chemical sculpture’ of moss and alginate, an extract from seaweed, form over time, before they drop to the bottom of the tank.